One of Nigeria’s most successful artistes, 2face Idibia has bagged a honorary fellow award from one of Nigeria’s most prestigious universities. Innocent Idibia aka 2Face, a Nigerian music icon, has been conferred with the award of the Fellow of the school of music by the Department of Music, Obafemi Awolowo University, Ile Ife. This is coming shortly after he was dissed by Blackface in a new song the latter released. The post Wow! 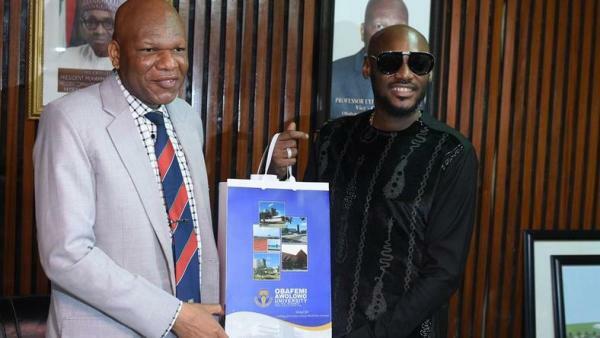 2face Idibia Bags OAU’s Honorary Fellow Award Shortly After Being Dissed By Blackface appeared first on Naijaloaded | Nigeria's Most Visited Music & Entertainment Website.